From the moment in which, in 2008, Apple presented the iPhone in society, the industry has tried to find out what will be the next big step in terms of the design of the next devices. One of the most successful trends has been the flexible mobile phone , able to adapt to any situation, and providing a lot of different uses for users, so far unimaginable. 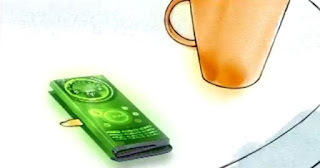 Precisely in 2008, the company Nokia, when still manufacturing phones on its own, presented a concept called Morph, which showed the possibilities of nanotechnology in the terminals of the future. Then, it seemed impossible, but today, it seems that we are really close to such a device, thanks to Apple. In this case, we will not have nanotechnology, but we will be able to experience what it means to have a telephone whose complete exterior is a screen . In one of the latest patents that have been made public about the Cupertino company, a design is shown in which some technologies are applied, such as OLED plastic screens, which would cover the body of the phone with a single panel. In addition, the frames would be constructed with, according to the indications of the patent, some type of liquid metal , which would allow to give the device the necessary flexibility for such a design. All this, would allow us to have a device that would be enough of what companies like Samsung have been preparing in recent years, and we would approach something more similar to the concept of Nokia , where the entire device is a screen. Now, we can only hope that Apple does not leave it in oblivion, and we can see it as a reality in a few years. Maybe for when these types of technologies are not so absurdly expensive.